Preeclampsia, eclampsia and HELLP syndrome are life-threatening hypertensive conditions and common causes of ICU admission among obstetric patients The diagnostic criteria of preeclampsia include: 1) systolic blood pressure (SBP) ≥140 mmHg or diastolic blood pressure (DBP) ≥90 mmHg on two occasions at least 4 hours apart and 2) proteinuria ≥300 mg/day in a woman with a gestational age of >20 weeks with previously normal blood pressures. Eclampsia is defined as a convulsive episode or altered level of consciousness occurring in the setting of preeclampsia, provided that there is no other cause of seizures. HELLP syndrome is a life-threatening condition frequently associated with severe preeclampsia-eclampsia and is characterized by three hallmark features of hemolysis, elevated liver enzymes and low platelets. Early diagnosis and management of preeclampsia, eclampsia and HELLP syndrome are critical with involvement of a multidisciplinary team that includes Obstetrics, Maternal Fetal Medicine and Critical Care. Expectant management may be acceptable before 34 weeks with close fetal and maternal surveillance and administration of corticosteroid therapy, parenteral magnesium sulfate and antihypertensive management. Worsening condition requires delivery. Complications that can be related to this spectrum of disease include disseminated Intravascular coagulation (DIC), acute respiratory distress syndrome, stroke, acute renal failure, hepatic dysfunction with hepatic rupture or liver hematoma and infection/sepsis. Background: Trauma occurs in 8% of all pregnancies. To date, no studies have evaluated the effect of the hospital's trauma designation level as it relates to birth outcomes for injured pregnant women. Methods: This population-based, retrospective cohort study evaluated the association between trauma designation levels and injured pregnancy birth outcomes. We linked Washington State Birth and Fetal Death Certificate data and the Washington State Comprehensive Hospital Abstract Recording System. Injury was identified using the International Classification of Diseases, Ninth Revision injury diagnosis and external causation codes. The association was analyzed using logistic regression to estimate odds ratios and 95% confidence intervals (CIs). Results: We identified 2492 injured pregnant women. Most birth outcomes studied, including placental abruption, induction of labor, premature rupture of membranes, cesarean delivery, maternal death, gestational age <37 weeks, fetal distress, fetal death, neonatal respiratory distress, and neonatal death, showed no association with trauma hospital level designation. Patients at trauma Level 1–2 hospitals had a 43% increased odds of preterm labor (95% CI: 1.15–1.79) and a 66% increased odds of meconium at delivery (95% CI: 1.05–2.61) compared to those treated at Level 3–4 hospitals. Patients with an injury severity score >9, treated at trauma Level 1–2 hospitals, had an aOR of low birth weight, <2500 g, of 2.52 (95% CI: 1.12–5.64). Conclusions: The majority of birth outcomes for injured patients had no association with hospitalization at a Level 1–2 compared to a Level 3–4 trauma center. Background and Purpose: Traumatic head injury has a high mortality and morbidity in low- and middle-income countries. Brain injury following trauma is the cause of death in about one-third of patients that die after trauma. The aim of the study was to assess the pattern of computed tomography (CT) findings in head trauma at the tertiary health institutions serving the Niger Delta region of Nigeria. Patients and Methods: The CT scans of the head of 310 consecutive patients referred specifically for evaluation of head injury were prospectively reviewed. The images acquired were analyzed by the radiologists. The radiological features and anatomical distribution of the lesions on the CT Images were assessed and documented. Patients with congenital abnormalities of the head and those whose fall or injury were secondary to stroke were excluded from the study. The Ethical Committee of our institutions gave approval for the study. Results: There were 225 (72.58%) males and 85 (27.42%) females. About 44.84% of the patients were in the third and fourth decades of life. The major causes of head injury were road traffic accidents in 67.74%, falls in 14.84%, and assaults in 7.42%. Most of the patients 102 (33.0%) presented within the 1st week of injury. Cranial fractures were found in 87 (28.06%) patients. In this series, 111 (35.81%) had normal CT findings while 199 (64.19%) had abnormal CT findings. 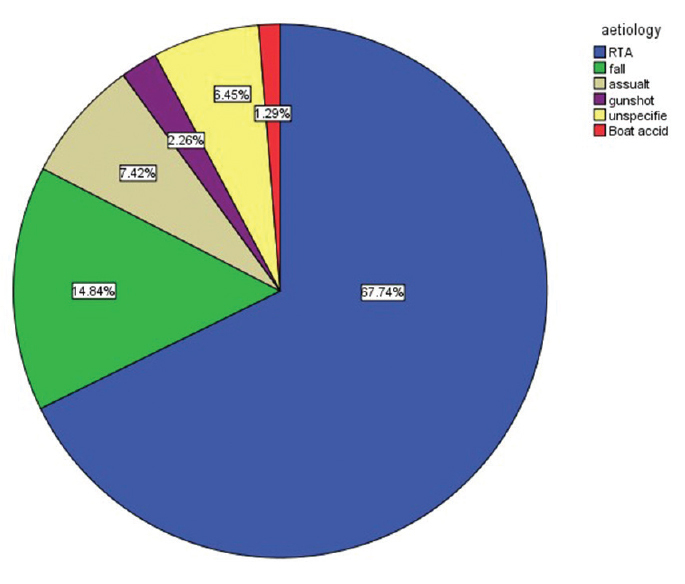 Intra-axial lesions were the most common, constituting 131 (42.26%) cases. Conclusion: This study had demonstrated that majority of head trauma evaluated by CT were associated with cranial and brain injuries. Intra-axial injuries are more prevalent. Poor health facilities and bad road networks in addition to being risk factors for head injury also hamper the management of head-injured patients as shown by the long duration of injury before health facilities are accessed. Objective: The aim of this trial was to determine whether Flotrac Vigileo™ (FV™) provides a reliable representation of the hemodynamic state of a cardiac surgical patient population when compared to pulmonary artery catheter (PAC) and echocardiography in the peril-operative period. Design: This was a prospective observational trial comparing perioperative hemodynamic states using transesophageal echocardiography (TEE), transthoracic echocardiography (TTE), FV™ and PAC during and post cardiothoracic surgery. Setting: Tertiary regional hospital Intensive Care Unit (ICU). Participants: 50 consecutive adult cardiothoracic patients with written consent provided. Intervention: Comparison of the perioperative hemodynamic states using echocardiography, FV™ and PAC was performed. Evaluation of the hemodynamic state (HDS) was performed using TEE, TTE, PAC and FV™ during and after cardiac surgery. Data were compared between the three hemodynamic assessment modalities. Main Outcome Measure: Predicted hemodynamic state. Results: FV™ and PAC were shown to correlate poorly with TEE/TTE assessment of the hemodynamic state. Both PAC and FV™ showed significant discordance with echocardiographic assessment of the hemodynamic state. Conclusions: In this trial, FV™ and PAC were shown to agree poorly with TTE/TEE assessment of the HDS in an adult cardiothoracic population. Agreement between the FV™ and PAC was also poor. Caution is recommended in interpreting isolated hemodynamic monitoring data. 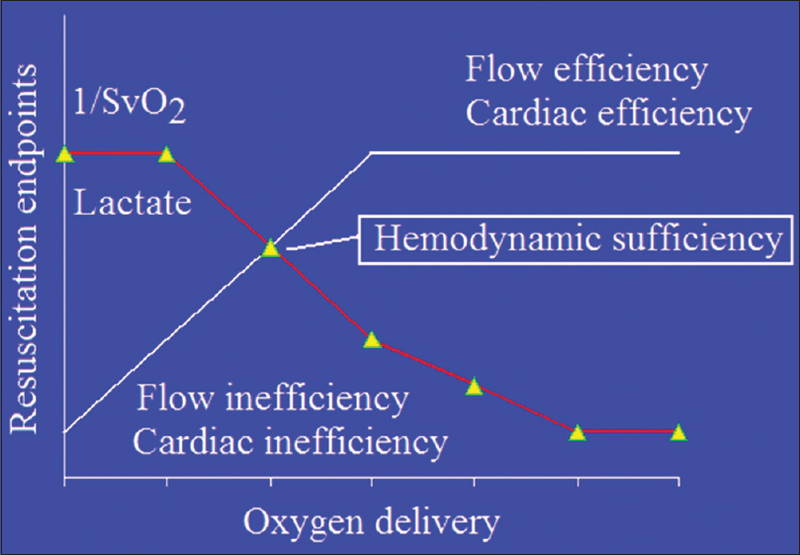 All hemodynamic monitoring devices have inherent sources of error. Caution is advised in interpreting any single device or measurement as a gold standard. We suggest that hemodynamic measuring devices such as FV™/PAC may act as triggers for a global hemodynamic assessment including consideration of TTE/TEE. Objective: The accuracy of various techniques to predict response to volume expansion in shock has been studied, but less well known is how feasible these techniques are in the ICU. Methods: This is a prospective observation single-center study of inpatients from a mixed profile ICU who received volume expansion. At time of volume expansion, we determined whether a particular technique to predict response was feasible, according to rules developed from available literature and nurse assessment. Results: We studied 214 volume expansions in 97 patients. The most feasible technique was central venous pressure (50%), followed by vena cava collapsibility, (47%) passive leg raise (42%), and stroke volume variation (22%). Aortic velocity variation, and pulse pressure variation, and were rarely feasible (1% each). In 37% of volume expansions, no technique that we assessed was feasible. Conclusions: Techniques to predict response to volume expansion are infeasible in many patients in shock. Background and Aim: A significant social and economic burden inflicts by road traffic injuries (RTIs). We aimed to use Bayesian model, to present the precise method, and to estimate the cost of RTIs in Iran in 2013. 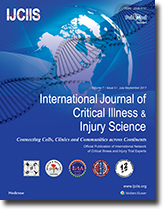 Materials and Methods: In a cross-sectional study on costs resulting from traffic injuries, 846 people per road user were randomly selected and investigated during 3 months (1st September–1st December) in 2013. The research questionnaire was prepared based on the standard for willingness to pay (WTP) method considering perceived risks, especially in Iran. Data were collected along with four scenarios for occupants, pedestrians, vehicle drivers, and motorcyclists. Inclusion criterion was having at least high school education and being in the age range of 18–65 years old; risk perception was an important factor to the study and measured by visual tool. Samples who did not have risk perception were excluded from the study. Main outcome measure was cost estimation of traffic injuries using WTP method. Results: Mean WTP was 2,612,050 internal rate of return (IRR) among these road users. Statistical value of life was estimated according to 20,408 death cases 402,314,106,073,648 IRR, equivalent to 13,410,470,202$ based on the dollar free market rate of 30,000 IRR (purchase power parity). In sum, injury and death cases came to 1,171,450,232,238,648 IRR equivalents to 39,048,341,074$. Moreover, in 2013, costs of traffic accident constituted 6.46% of gross national income, which was 604,300,000,000$. WTP had a significant relationship with age, middle and high income, daily payment to injury reduction, more payment to time reduction, trip mileage, private cars drivers, bus, minibus vehicles, and occupants (P < 0.01). Conclusion: Costs of traffic injuries included noticeable portion of gross national income. If policy-making and resource allocation are made based on the scientific pieces of evidence, an enormous amount of capital can be saved through reducing death and injury rates. The first description of the flow-directed pulmonary artery catheter (PAC) was published in the 1970s by Jeremy Swan and William Ganz. Ever since its clinical debut, many controversies surrounded the use of the PAC. Regardless of these controversies, the most fundamental issues surrounding this hemodynamic monitoring device remain unresolved, including the exact indications, contraindications, identification of patients who potentially benefit from this technology, and the way we interpret and use PAC-derived parameters. Despite recent intensification of attacks against the use of the PAC by its opponents, it seems overly harsh to discount a technology that might be beneficial in appropriately selected clinical situations, especially when considering the fact that our true knowledge of this technology is somewhat limited. In fact, the PAC may still play an important role considering the resurgence of the concepts of euvolemic resuscitation and hemodynamic sufficiency. Republished with Permission from: Stawicki SP, Prosciak MP. The pulmonary artery catheter in 2008 – a (finally) maturing modality? OPUS 12 Scientist 2008;2(4):5-9. The treatment for melanoma is challenging because of its nature of being refractory particularly in metastatic stages. Treatment options include surgical resection of the lesion, radiation therapy, chemotherapy, and immunotherapy. Immunotherapy such as anti-cytotoxic T-lymphocyte antigen-4 and anti-programmed cell death protein 1 (PD-1) are increasingly being used in the treatment of metastatic malignant melanoma. Nivolumab is a PD-1 inhibitor used for the treatment of malignant melanoma. 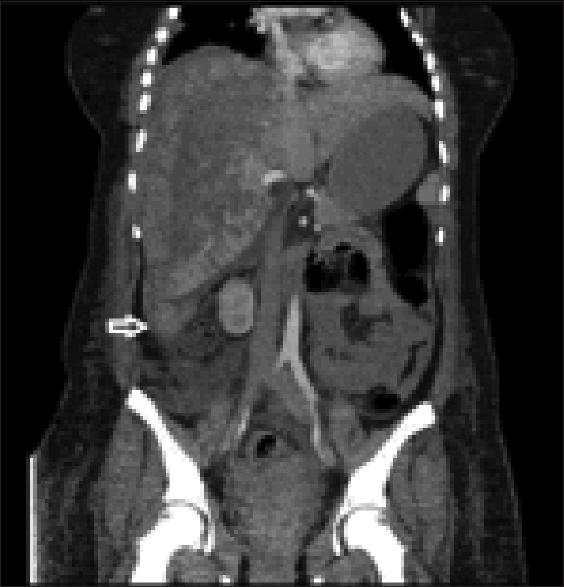 In our case, an 83-year-old patient presented with enlarged inguinal lymphadenopathy 2 years after curative surgical resection of her toes secondary to melanoma. She was started on nivolumab therapy after positron emission tomography (PET) –computed tomography scan and biopsy confirmed metastatic melanoma. She was responding well to the treatment as evidenced by repeated PET scan. Unfortunately thereafter, she was hospitalized with severe lethargy and generalized weakness attributed to immune-related adverse effects of thyroiditis and hypophysitis. Therefore, nivolumab was discontinued, and she was treated with high dose steroids and thyroid supplementation. The most common side effects of nivolumab therapy are immune-mediated colitis, immune-mediated hypothyroidism, immune-mediated hyperthyroidism, and immune-mediated adrenal insufficiency. It is important for clinicians to monitor patients closely with appropriate laboratories and regular follow-ups to identify side effects early so that they can be treated appropriately. 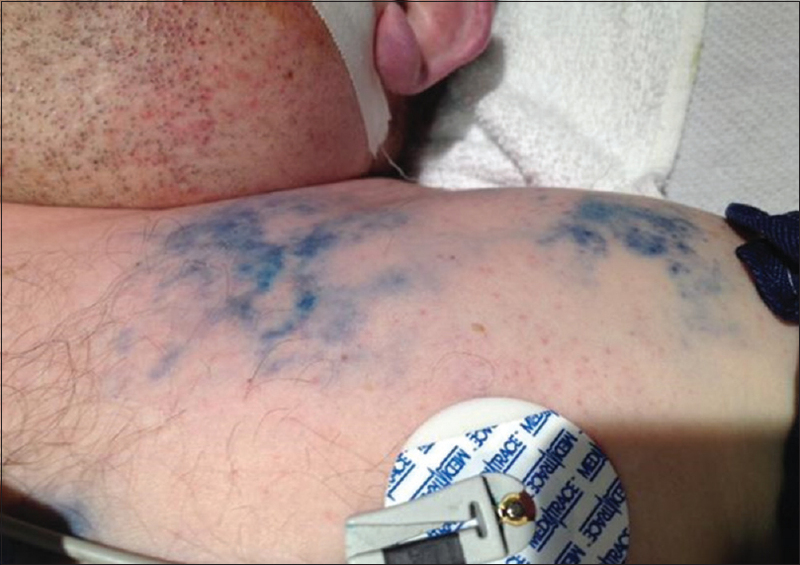 The authors present an image of a middle-aged male after coronary artery bypass grafting who received intravenous methylene blue for refractory hypotension that resulted in dermal tattooing/staining of the venous vasculature of his left shoulder and left upper chest. Republished with permission from: Bhatt AM, Tripathi RS, Moran KR, Papadimos TJ. Dermal tattooing following intravenous methylene blue for refractory hypotension after coronary artery bypass grafting. OPUS 12 Scientist 2012;6(1):11.